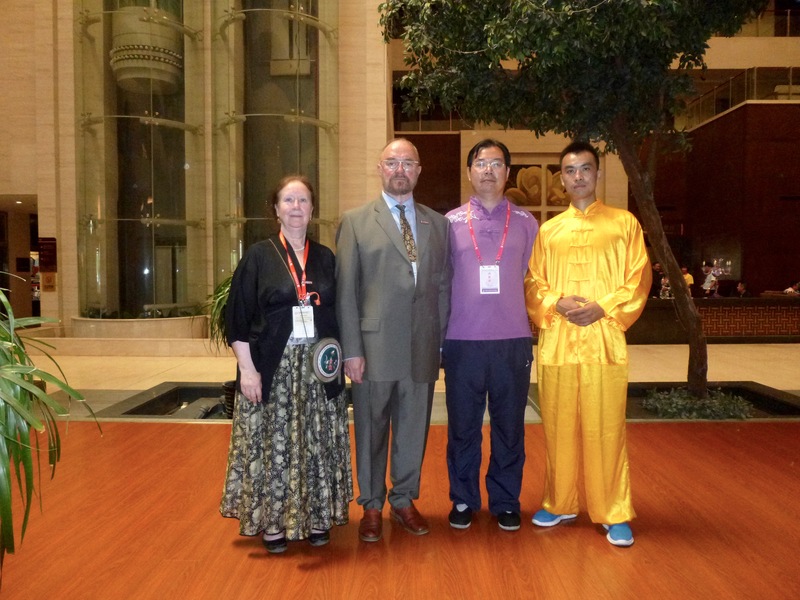 Professor Tom Shanahan and Registrar Mary Plunkett have each been invited to make a presentation at the Nei Dao Qigong Symposium being held in Rome in October 2017. 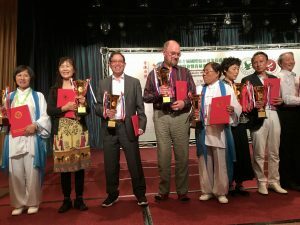 Each presentation will reflect our experience of practising Qigong as a Medical treatment option of Traditional Chinese Medicine (TCM) within the wider and generally more well-known context of Acupuncture and Chinese Medicine. Tom and Mary have been practising and subsequently teaching Qigong for Health and Well-being and Medical Qigong since 2000 and regularly visit China presenting papers at conferences and supporting the promotion of authentic, traditional Medical Qigong as taught to us by our Qigong masters in China. We look forward to meeting fellow Qigong Masters and Presenters from around the world at the Symposium in Rome. Acupuncture TCM is a treatment method of Traditional Chinese Medicine which can be effectively used to treat pregnant women and small infants. 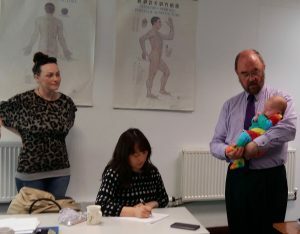 The photograph shows one of the new graduates from the Licentiate in TCM Professional Acupuncture Training programme (on the left) and her recently born daughter who is helping students to learn how to make a TCM diagnosis on an infant. This little child already has more than 9 months’ experience of Qigong practice as her mother conceived her while she was a student on the Certificate in Medical Qigong course. Recruitment for both the Acupuncture TCM and Qigong programmes is currently on-going. We have been running Health-promoting and Medical Qigong Workshops at our college in Dublin 3 since 2002. Saturday and Sunday 22 and 23 April 2017. Please go to our website to obtain a course leaflet, Booking Form and Fee information for the Spring Qigong Workshop. The whole weekend costs €170 if you book before 7 April 2017. Open to all adults, no interview needed. Anyone interested in attending our Certificate programmes in Qigong or Medical Qigong must first attend this introductory weekend. 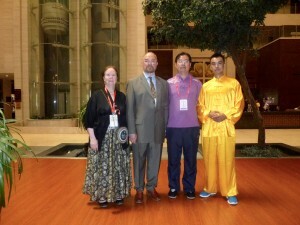 I am just back from a Medical Qigong conference in Beijing, China where Qigong teachers and Qigong Clinicians shared research with colleagues from around the world. I have been running Health-promoting and Medical Qigong Workshops at our college in Dublin 3 since 2002. Saturday and Sunday 30th and 31st July 2016. 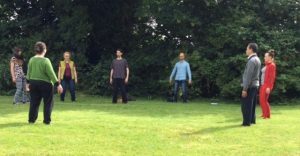 Please go to our website to obtain a course leaflet, Booking Form and Fee information for the Summer Qigong Workshop. The whole weekend costs €170 if you book before Tuesday 19th July.